Wings are one of those foods I just don’t like to make. Actually, I don’t really like to get them much when we are out either. They are messy and when they are deep fried they are just dripping with fat. I have to admit I do enjoy a good, crispy wing when I can get one. There’s a place in Pittsburgh called Quaker Steak and Lube that has some amazing wings. My favorite one is called Louisiana Lickers which is a hot garlic, BBQ mix. It’s delicious. With all that said, my husband loves wings and sadly I rarely make them for him. I’ve made baked wings several times but they just aren’t that great. We had the idea to grill wings last week. I went to the store and grabbed a package of wings. When I got them home to make them, I realized I had to cut them apart. That in itself was quite an adventure, but I did manage to cut the wings into two parts. I sprinkled them with salt and pepper and my husband placed them on the grill. He grilled them for about 20 minutes and they were just starting to char and get crispy. He pulled them off the grill and I tossed them with 2 different sauces. 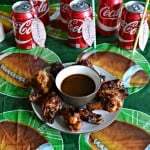 One is my homemade BBQ sauce which is sweet and spicy and went great with these wings. The other sauce was a spicy sauce that we make frequently. The wings turned out delicious! I’m not sure which I liked better, the BBQ or the hot sauce. The wings were hot and crispy and bursting with flavor. They weren’t greasy at all. 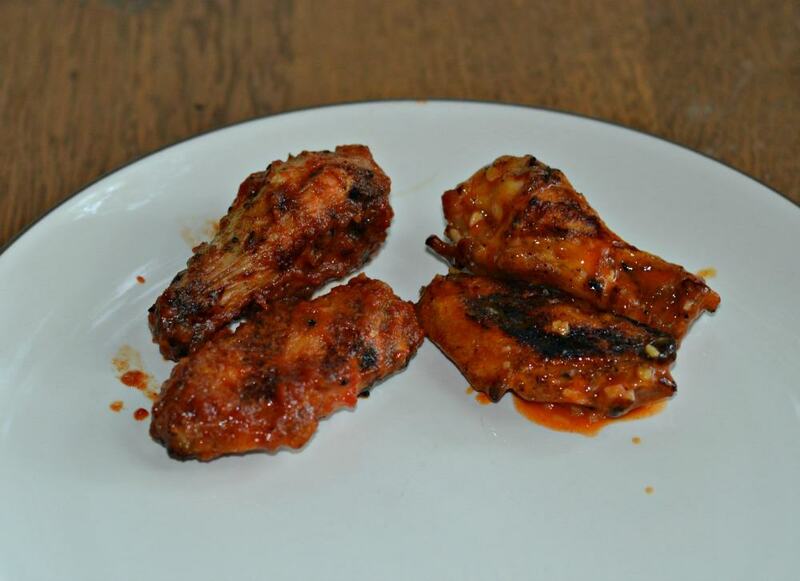 This is definitely my favorite way to make wings now and I can’t wait to come up with some new flavored sauces! Sprinkle the wings with salt and pepper and place on the grill. Grill the wings, turning every 2-3 minutes, for 20 minutes or until the wings are cooked through and crispy on the outside. Meanwhile, combine the Frank's Red Hot, melted butter, garlic cloves, and black pepper in a medium bowl with a lid. Mix well and set aside. Place the BBQ sauce in another medium bowl with a lid. Take the hot grilled wings and place half in each bowl. Put the lid on both bowls and shake to get the wings coated. Remove from the bowls and put on a platter along with carrots, celery, Ranch, and Blue Cheese. I never was much of a wing fan myself, there’s just not enough meat on them to make it worth it! But lately I’ve had some wings that have started to change my mind! These look really good. Thanks! 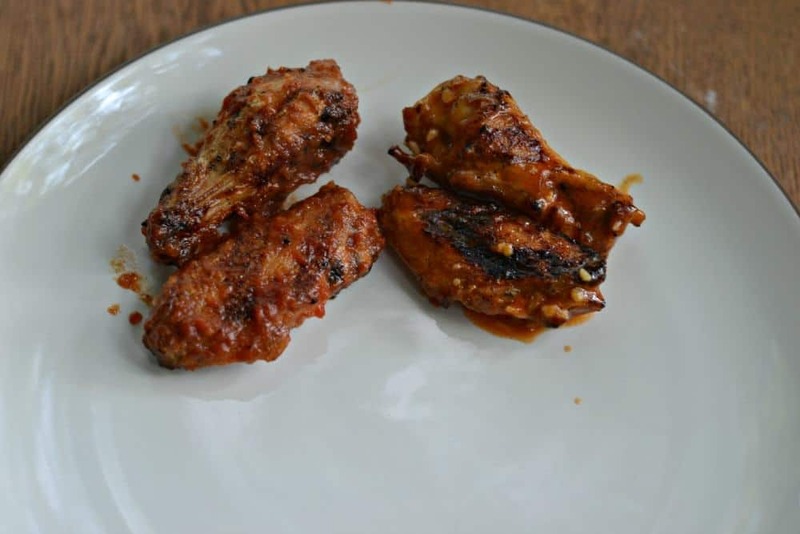 My hubby loves wings and I’ll have to give this recipe a try. Great recipe. We are a wing family too but I completely understand the messy factor. I love the name Louisiana Lickers–that made me laugh this morning. Never knew you could grill wings! 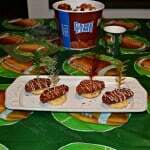 We just started grilling wings a few years ago! It’s a great way to get crunchy wings without the fat. 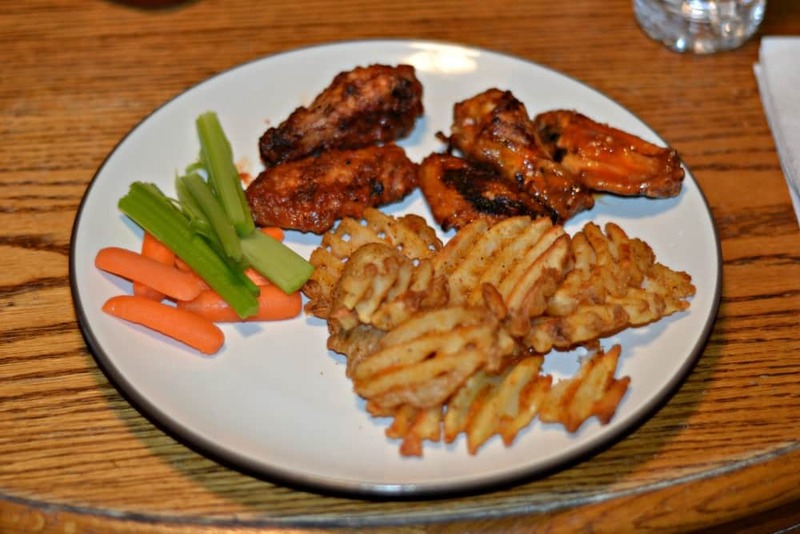 I’m such a fan of wings – YUM! Absolutely wonderful!! Making it again for the 4th time in less than two months. Yeah, they are oh, so good, but I always need about 16 napkins! Your recipe sounds wonderful! 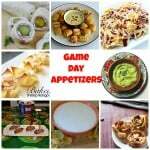 These look fantastic for football season! Or any season for that matter! I’m not a big wing fan either…too much work for that little bit of meat for me! But of course that doesn’t mean I don’t enjoy wings. I do. And your recipe sounds amazing! I like that you have added Frank’s in there, my fave. Your wings look finger licking good!! 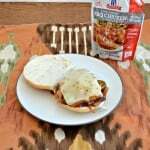 ok… so your BBQ sauce recipe is on your blog somewhere??? … I’m intrigued!! I haven’t made my own BBQ sauce before… its on my to-do list though! my hubby LOVES WINGS!! this is going on our list of to-eats! I can totally agree with you about wngs. My other half loves them but they’re a rare treat around here. I really, really don’t like cutting them apart either. 🙂 I’m imagining the sauce with the smoky, flavor of the BBQ and I am so tempted to make wings! Consequently tasty! That seems amazing! I love wings! The hubs thinks they’re too much work (to eat), but you can sign me up for a platter of your grilled wings!